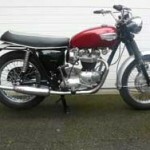 Home » Bike Reviews, News & More » Win a Triumph Bonneville T120R For Christmas! 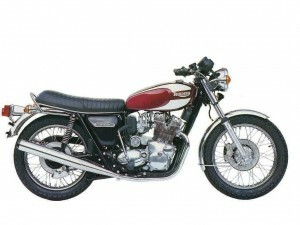 With only a few weeks to go before the VMCCs July-Dec 2009 Raffle is drawn here’s a reminder that someone will be having a fantastic Christmas this year as the proud new owner of an immaculate 1968 650cc Triumph Bonneville T120R. 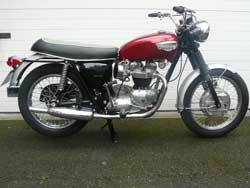 1st Prize-1968 650cc Triumph T120R Motorcycle. 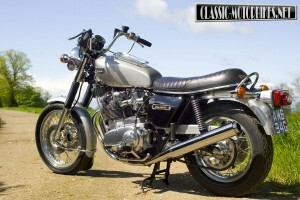 3rd Prize- One Years subscription to “Old Bike Mart” & “The Classic Motorcycle”. 4th Prize- One Years Subscription to Classic Racer. 5th Prize- One Years Subscription to Bonhams Motorcycle Auction Catalogues. Many thanks again to our friends at Davida UK Ltd , Mortons Motorcycle Media & Bonhams for their generous support. Tickets were distributed to all VMCC members with the July 2009 edition of the Clubs magazine “The Vintage Motorcycle” and with the Aug 2009 edition of Old Bike Mart. The draw will take place on Thur 17/12/09 with the Triumphs winner being informed immediately afterwards. Let’s face it, it’s got to be better than finding a pair of socks under the tree! Tickets may be obtained via VMCC HQ on 01283 540557 e-mail hq@vmcc.net. Tickets may also be ordered on line at www.vmcc.net.